In Northern California, Peter Musser has been working in an interesting niche since 2002: making conga drums out of old wine barrels. After a little research, he learned that the greatest resource for materials for drum making in Cuba back in the day was the discarded barrels that were a byproduct of commerce. They were everywhere and they were oak. The tradition of building drums goes way back — back beyond good glue, so to keep drums together early builders needed to put steel bands around the drums to hold them together, and so the folkloric look was born. “In the early days, they didn’t have very good glue, in fact, I don’t know what kind of glue they have in Cuba to this day, so they had to put the bands on them,” Musser explained. Peter’s a one-man operation working in 650 square feet and that means that he wears a lot of hats. The nature of this business is that most of these guys work alone. So everything that happens is done solo. Peter makes his own traditional hardware for use with natural skins. He will, however, size drums for those who might want to use synthetic skins. Where do the wine barrels come from? “Well, I live in Sonoma County wine country in Petaluma,” he explained. “I have dear friends that are winemakers so that’s where I get my barrels.” The barrels can only be used for wine making for a couple of years then they need to be replaced. Knowing moisture content is crucial to building instruments that will survive. Too much or too little moisture will cause the drum to fail and open up. For building drums, the ideal moisture content is around seven percent. The MMC205 has been replaced with the all-new, better in every way Orion® line of pinless moisture meters. So what’s on the horizon for PM Percussion? “I’m branching into bongos and will be making more cajons, a Peruvian box instrument which you sit on where the playing surface is thin wood,” Musser revealed. Musser uses an adjustable snare that allows the player to adjust the amount of sizzle from none at all in the tradition of Flamenco to a full snare sound. And what about changes in his congas? 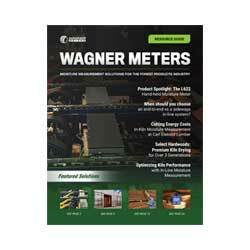 No matter which business model Peter Musser decides to leverage, one thing is certain: Wagner Meters will help him protect his investment by providing accurate wood moisture content measurements. What can we do to help your business thrive? Give us a call at (541) 291-5124.